This tiny town of fewer than 2,000 people sits on the central eastern border of Portugal. Don’t let the small size of Almeida fool you — it defends a very important crossroad coming in from Spain. In fact, the Almeida Castle still stands even after a lucky shell struck the gunpowder store during the Peninsular War of 1810. The explosion killed 500 defenders and leveled half of the town. Defense of the crossroad is so important to the local residents that the town keeps the Museu Histórico Militar de Almeida, an interesting museum built into an underground labyrinth. Travelers making it to Sortelha are free to roam the small town’s historic castle with no supervision. Don’t expect ticket lines, officials, barriers or handrails. You are on your own which allows you to climb to the top of the castle’s tower at your own risk. The climb is worth it because Sortelha crowns a hilltop. After climbing down past the castle’s scars of war, pick up a leaflet that will bring you through a self-guided walking tour of the recently restored village. Sortelha is so medieval that festivals with reenactors frequently pop up. Guarding another important crossroad between Portugal and Spain, Elvas is housed within a fortification that is shaped like a star. Square fortifications allow attackers to focus on the corners where fewer defenders could repel the advance. But there are no weak corners to attack in a star-shaped fortification as arrows can rain down from all directions. Tour the southern end of the fortification to discover hidden passages and history come to life through exuberant staff. The Praca de Republica in the center of town keeps a beautiful cathedral and the city still uses ancient aqueducts for fresh water. Full of gems, Elvas is not visited by as many tourists as other small towns in Portugal so your sightseeing will have to move at the leisurely pace of the locals. Powerful ocean waves beckon surfers to Ericeira on Portugal’s mid-Atlantic coast. The town’s spectacular views from a cliff perched high above the sparkling blue waters attract weekend retreaters. And the town’s delectable seafood brings in the foodies. 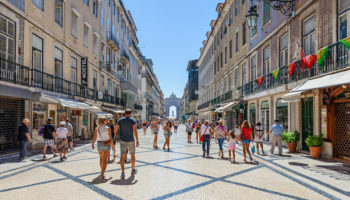 A bustling park beats with energy in the heart of the town, known as Praca de Republica, and is surrounded by pubs, shops and seafood restaurants. Newer developments are being built to the south and the west of this seaside retreat. 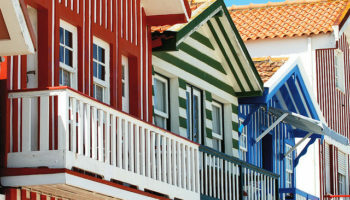 This small, northeastern Portuguese town has quite an interesting historical story. The castle, wearing scars from years of siege, displays Portugal’s coat of arms upside down. The town must do so forever under the orders of D. João, the former King of Portugal. The orders came in 1385 after D. João defeated the lords of Castelo Rodrigo at the Battle of Aljubarrota. Castelo Rodrigo sided with the king of Castile who had just married D. Beatriz, the only daughter of King D. Fernando of Portugal, and he stood by her claim to the throne after her father’s death. Now, this peaceful town has a beautifully restored center sprawling out from the historical castle. Go back in time by visiting Lamego. 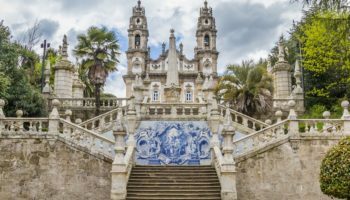 Cradled by the slopes of port wine country, this north-central Portuguese town is dripping with Baroque flavor. Most tourists come to climb the centuries-old Baroque staircase leading to the breathtaking Igreja de Nossa Senhora dos Remédios. The genuinely preserved granite sanctuary and the lavishly ornate church is a delight for the eyes. The 686 steps carve their way through dense forest before breaking out into the open at the feet of the incomparable sanctuary with 360-degree views of the surrounding countryside. 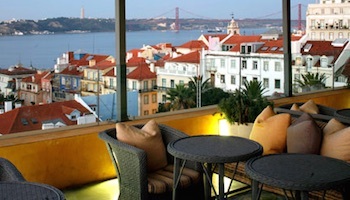 The visit will allow you to burn off some of the region’s irresistible port wine. Ask the locals and they’ll tell you — Nazare has the best beaches in Portugal. The long, sandy beaches make for a great seaside escape and the active Atlantic calls to the big wave surfers. Take a seat on the cliff side on Saturdays to see Portugal’s largest net fishing boats bring in massive hauls. The local women will walk through the spectating crowd selling artisanal goods. And while you tour the clean, white houses of town looking for your next seafood treat, just look out into the ocean and imagine a 24-meter (78-foot) wave. In 2013, Garrett Macnamara road such a wave at Nazare to break a world record. The large waves are caused by an underwater canyon just off the coast. 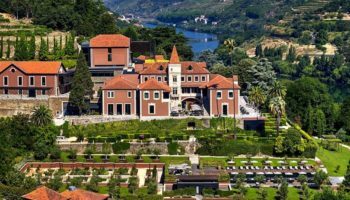 You’ll find Castelo de Vide sitting right in the center of Portugal’s eastern border with Spain. Less than 4,000 live in this authentic small town. One of the town’s few attractions besides its medieval castle is the crystal-clear, clean and refreshing mineral water that’s been directed to pour out of various small fountains. Life moves slowly here. Wake up early to see women sharing stories and crocheting on their front steps, children kicking soccer balls down narrow alleys, and men playing cards in front of cafes. You’ll also be delighted by the view from this hilltop city. Tavira, just two miles from the ocean on the southern coast of the Algarve, has been standing since the Bronze Age. Cut in twain by the Rio Gilão, Tavira is a walker’s paradise. Cobblestone streets weave through shady parks, up to an elevated castle, over a romantic Roman bridge, and past plenty of Gothic and Renaissance churches. Fishermen bring daily catches to a modern riverside market and the city is just two miles to the white sand beaches of Ilha de Tavira. 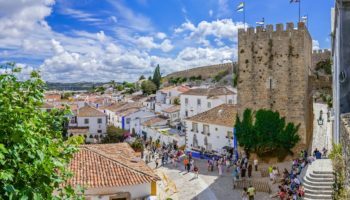 Obidos draws thousands of tourists per year with its lost-in-time quality and a variety of festivals. 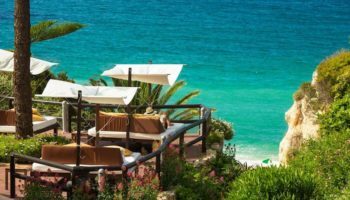 If you are looking for an authentic Portuguese small town retreat, you may not find it here amongst the crowd. But the crenelated beauty of the surrounding castle wall may prove irresistible. Inside the fortification, you’ll find a maze of narrow cobblestone streets connecting large white houses, flower gardens, restaurants, shops and bars. 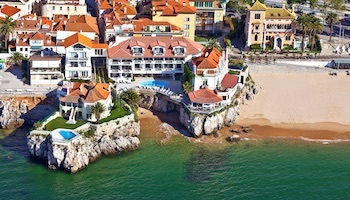 The hilltop castle has been refitted as a posh, upscale hotel for those seeking a view and luxury. In central Portugal you’ll find a hill strewn with 200-ton boulders as if they were dropped from the sky. Nestled in between the boulders are the houses and buildings of Monsanto. Donkeys are still used for transportation by less than 1,000 permanent residents. The ingenuity of the community shows as the boulders serve as fortifications, walls and even roofs. There’s even one house built right into one of the largest rocks in town. Once named the most Portugese town in Portugal, this unique city is a can’t-miss when in the central region. South of Almeida, built high on a hilltop, rests Marvao. This town of less than 5,000 is not for the faint of heart. The ancient, narrow alleys of the town are carved right into a crag jutting out from the hillside. The houses in Marvao are bright and adorned with flowers. The view is breathtaking and panoramic allowing you to take in Portugal’s eastern landscapes. A castle defends the town, but there isn’t much history of siege or war which leaves the old time buildings intact. A handful of guestrooms lure travelers looking for the road less traveled. The Knights of Templar were a religious military faction ordained by the Pope. They were among the most skilled fighters during the crusades and non-fighting members were advanced in the world of finance. They ruled Christendom from the 12th to the 14th centuries, and they once called Tomar home. Nestled against the Sete Montes Woods, this historical gem still boasts the Convento de Christo, the towering former home of the Knights. Take a stroll through history by visiting the Almourol Castle and the old synagogue then enjoy the Fatias de Tomar; a confectionary bread snack made here for generations. Megalithic monuments from prehistory stand like an eery Stonehenge on the outskirts Monsaraz, one of the oldest settlements in southern Portugal. Like most towns on the Spanish-Portugal border, the castle of Monsaraz was built high on a hilltop for defense. The Moors, Christians and Knights of Templar have all ruled the castle at some point with each leaving a cultural mark. Alentejan cuisine and tourism are now the town’s biggest draws. 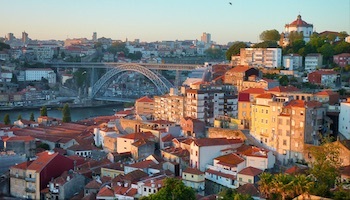 The ancient streets zig zag past uneven cottages in this sleepy, authentic Portugese city.